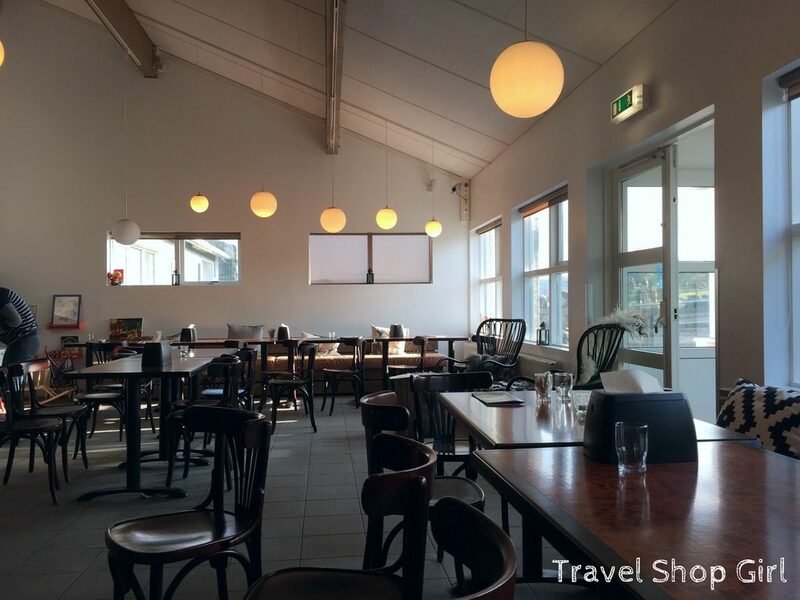 What’s the best thing to do when you first arrive in Iceland early in the morning? You might think the correct answer is to go grab a coffee, eat breakfast, or maybe even sleep for a few hours to help you get over your jet lag, but you’d be wrong. The right answer (my answer) is to take a really short nap (about 90 minutes), get dressed, and go horseback riding! 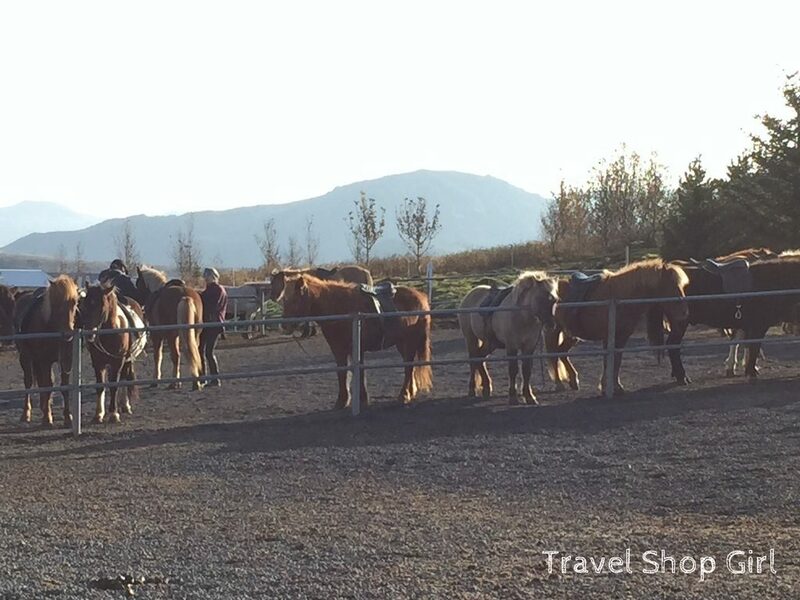 If you want to try something different on your next trip to Iceland, consider a horseback riding tour on Icelandic horses on lava fields with Íshestar. Like on my previous trip to Reykjavik, I opted to stay in a flat this time through AirBnb instead of a hotel. The flat was just off Frakkastígur and less than a five minute walk to Hotel Leifur Eiriksson. Why was this important? Because transfers for the two activities I had planned during my short stay included pick up from this hotel. Plus it was located in a different area of Reykjavik that I wanted to spend more time exploring. After arriving at the hotel and waiting over 20 minutes for the transfer, I was convinced that they wouldn’t show. The weather was cold, there was a strong wind, and sleep was calling loudly to me, but sure enough, the shuttle arrived eventually. I was then on my way to Íshestar in nearby Hafnarfjörður, a short 15-minute ride from Reykjavik. 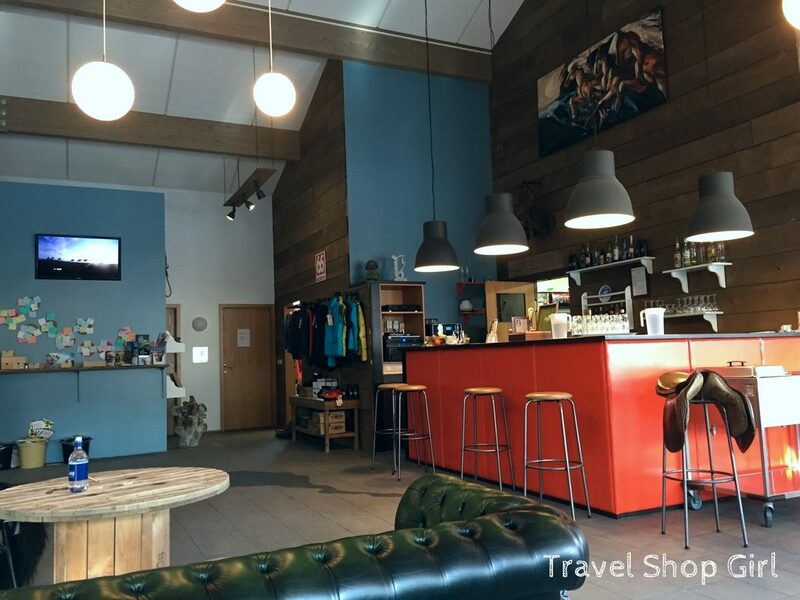 Upon arrival at Íshestar, I entered the building and checked in at the front desk. Before you can ride, you’ll need to watch a short, but detailed safety video. Don’t worry if you see lots of people waiting with you because they conduct several tours simultaneously. It was at this point that I realized I had screwed up. While I had brought along my huge camera bag, I forgot my SD card for my GoPro camera. Lack of sleep, jet lag, and now that I’m off caffeine for several months makes me a forgetful and tired person in the morning. But I did have my Nikon and iPhone, but the GoPro footage would’ve been amazing. 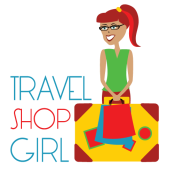 TSG Tip: If you’re hungry, you can grab a snack or pay for the buffet. If you’re a non-meat eater like me, they can accommodate a vegetarian meal request if you make your request in advance of the tour. This is probably more helpful if you’re doing a longer tour or a multi-day tour. The most remarkable physical characteristics of Hafnarfjörður are the wildly shaped lava formations. Enourmous, rough black rocks jut from the earth into craters, crevices and caves the cover the town. Yet here, carefully carved out among these seemingly immobile masses of rock, is a charming and tranquil. Homes peek out from behind boulders, shops sit beside lava flows, and parks are filled with moss-covered crags. In Hafnarfjörður, life exists in concert with the 7,000-year-old rolling lava. Most people in Hafnarfjörður live on the 18-square kilometer (7-square mile) lava field named Búrfellshraun. This lava originally spewed out of the crater Búrfell, which is located about 7 km (4.3 miles) east of Hafnarfjörður and is part of the Krýsuvík volcano. From the Búrfell eruption, lava flowed into two main streams transforming into remarkable formations when it passed by and around a lake. Some of these lava fromations are now sites designated for preservation. At the Litluborgir site, beside Helgafell Mountain, the lava formed into pseudocraters and other unusual gnarled shapes. At Kaldárhraun and Gjárnar sites sharply upheaved lava rests amonge a large expanse of undisturbed, ropy pahoehoe lava. 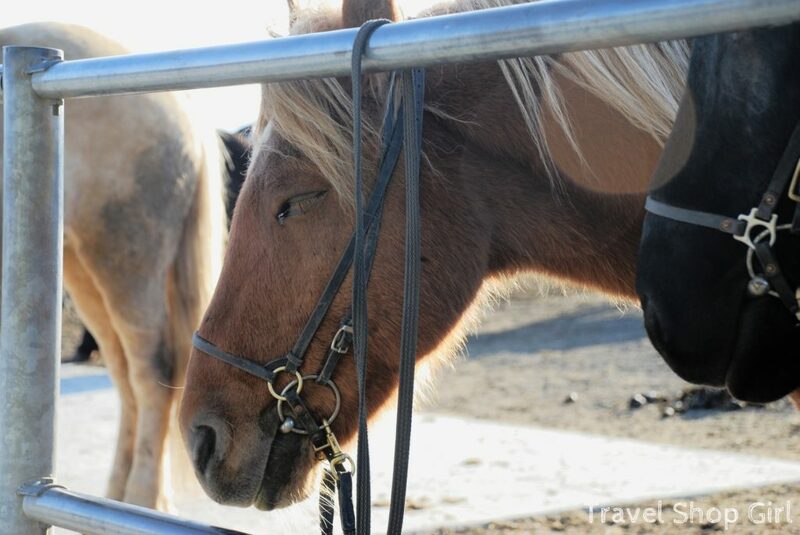 What’s Unique About Icelandic Horses? 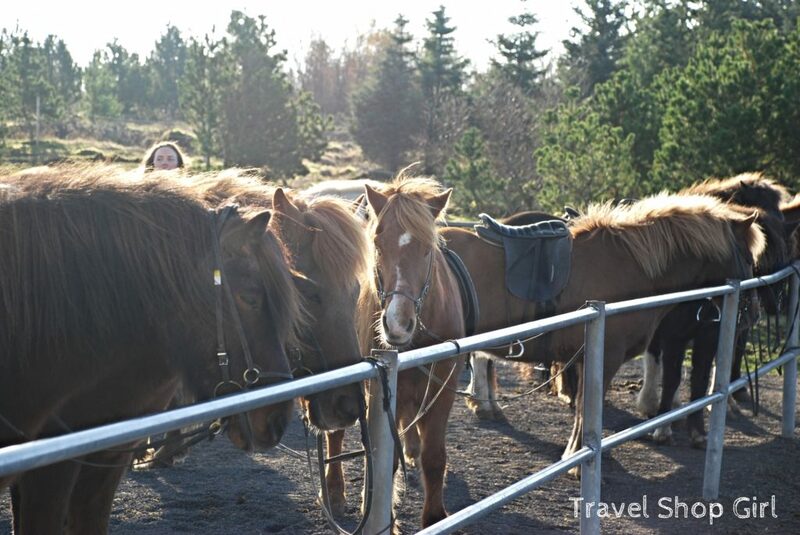 The history of the Icelandic Horse can be traced right back to the settlement of the country in the late 9th century. The breed remained pure for a thousand years and still today there is only one breed of horse in Iceland – the Icelandic Horse. The horses are unique amongst horse breeds because they master five gaits: walk, trot, tölt, canter/gallop and flying pace. The breed is best known for its four beat smooth gait, “tölt,” a very comfortable gait for the rider, elegantly displayed by the Icelandic horse. Icelandic horses weigh between 330 and 380 kilograms (730 and 840 lb) and stand an average of 13 and 14 hands (52 and 56 inches, 132 and 142 cm) high. While some might refer to Icelandic horses as a pony, breeders and breed registries always refer to Icelandic horses as horses. Compare Icelandic horses to North American horsse, which depending on the kind of horse and breed, can range in size from 380 and 1000 kilograms (840 and 2,200 lb) and stand an average of 14 to 18 hands (56 and 72 inches, 142 to 183 cm) high. After getting assigned a group number, we headed to the tack room to get our gear and then made our way outside to see the horses. 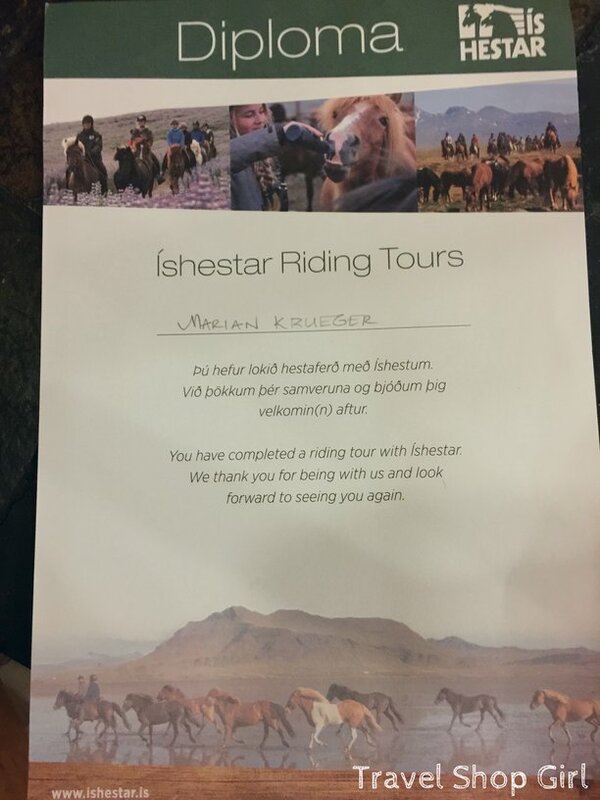 Íshestar provided me with a private tour with my guide, Barbara from Switzerland. I’m not sure if all of the guides live on the property, but Barbara and several others did and they love it. 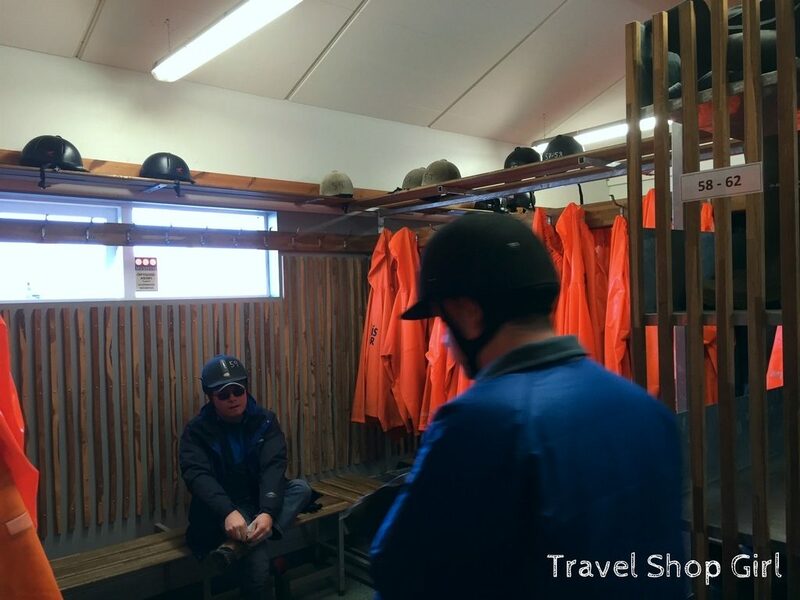 The entire staff live and breathe this lifestyle filled with Icelandic horses and that translates to an enjoyable and informative experience. And Now I Present… The Horses! Our great guides come from all over the world as an apprentice and work with our horses from 3 months to one year. They know each horse personality and can therefore match each horse with its rider. 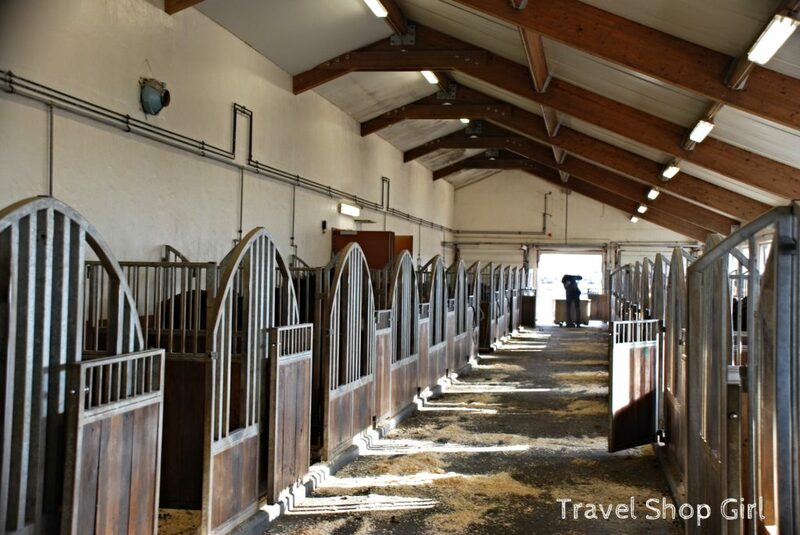 Íshestar’s stables can house up to 54 horses in the winter. In the summer season they have around 100 horses because of an adjacent field nearby. Because of this, day tours are operated every day year round. 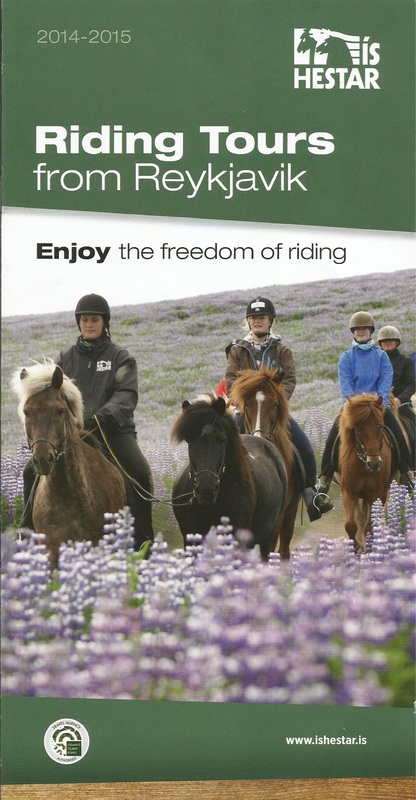 Riding helmets, rubber boots, and rainwear or a warm outfit during the ride. 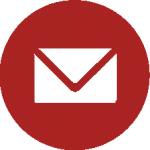 English and Scandinavian speaking guidance. Please note that you cannot take any backpacks or bags with you on the ride but there are safety boxes at the Riding Centre where you can store your valuables. The Lava Tour is considered an “easy” tour, which means that its great for beginners with little or no riding experience. Barbara from Switzerland was the most amazing tour guide! 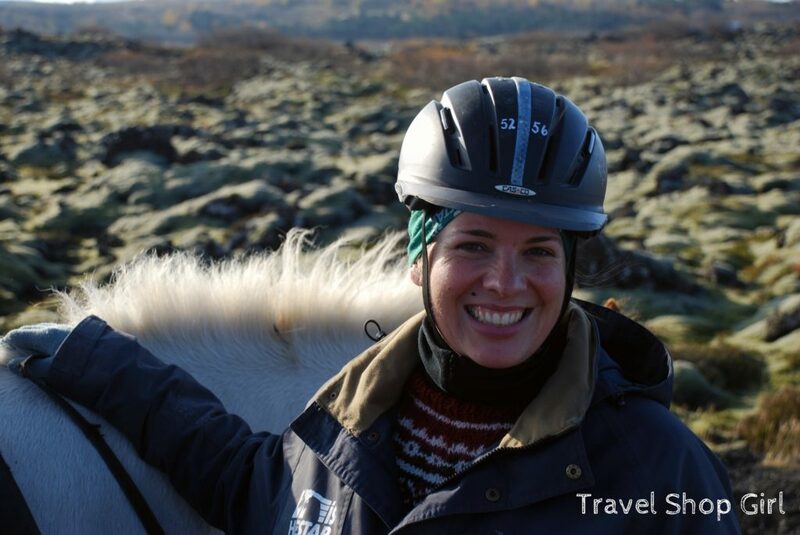 While I’ve been on a horse several times, I definitely wouldn’t call myself an expert rider and I let Barbara and Blesa whisk me off through the lava fields of Iceland. Here I could relax and enjoy the fresh air, beautiful green hillsides, and the overall scenery of the lava fields. Whether covered in thick green moss or enrobed in snow in the winter, the lava fields have a character all their own. My ride with Blesa, be it a walk, trot, or tölt, was an enjoyable way to spend a few hours admiring more of the Icelandic landscape I have grown to love. The fresh, clean air was refreshing, but for the air directly around the stalls and all the horses, if you know what I mean, but I still wouldn’t pass up spending time with them. Strike a pose! After the tour, I noticed that all of the horses were on display in laminated photos on a clothesline. Not only a great way to learn the horses’ names, but if you’re so inclined you could easily replicate this back at home. Who could walk by the bucket of horseshoes where you can take one home with you? 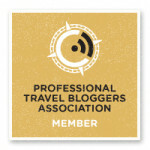 Although I think that’s because they knew I was thinking about coaxing Blesa into my carry on bag. Not only did I leave with a lucky horseshoe, but also a diploma from Íshestar stating that I completed a riding tour with Íshestar. Kudos to me! 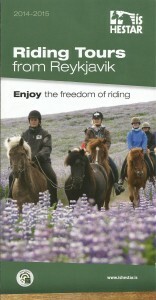 Íshestar has been a leading riding tour operator in Iceland since 1982. 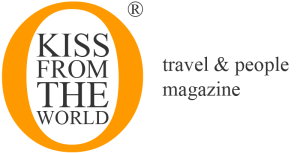 Íshestar “has placed great emphasis on quality, personal service, and the safety of our guests on all tours” and they do that perfectly. Not only did I enjoy my ride, but I felt safe, all staff members were incredibly professional and qualified, and I wouldn’t hesitate to plan another tour with them or recommend them to anyone. Plus they’re EarthCheck Gold Certified in 2014! 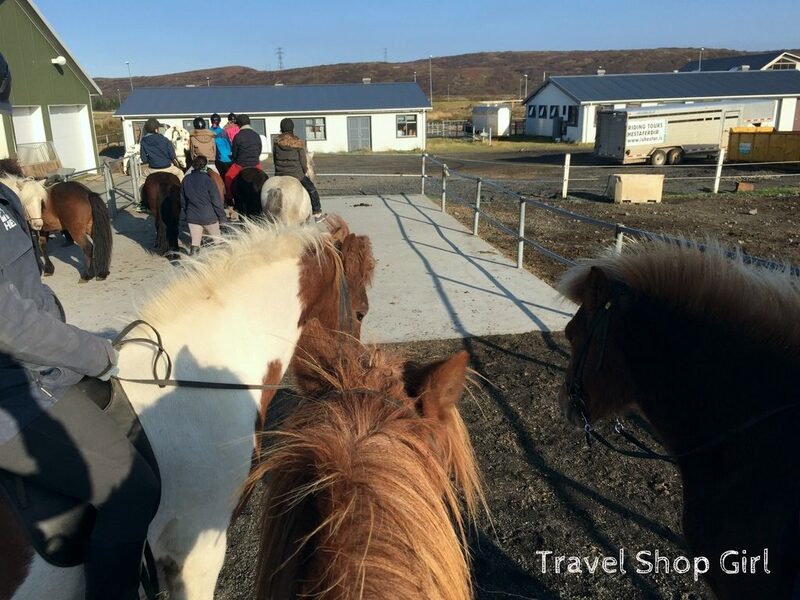 If you’re planning a trip to Iceland, you must book a tour with them and experience Iceland on horseback on a some really cool Icelandic horses.